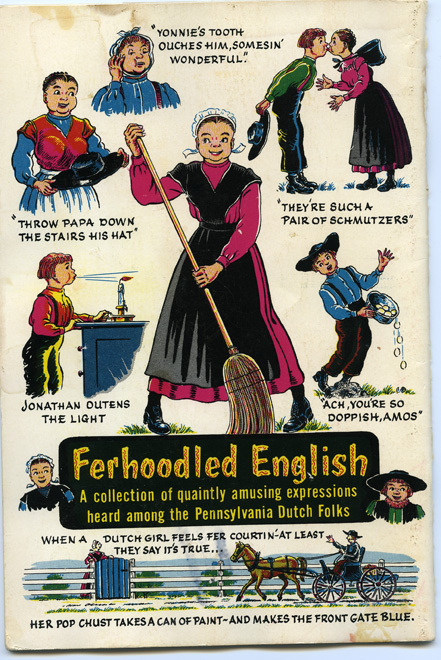 Wendy Converse shared this photo of a book she found while visiting her parents, full of Pennsylvania Dutch expressions like outening the light and being doppish (doppisch). We last talked about all things Pennsylvania Dutch back in July, when I shared some reader memories of a Pa. Dutch nursery rhyme. Today, I have a few more memories and stories of “Dutchy” things to share, which I hope you’ll enjoy! Jim, I certainly hope someone can come up with that and let us know! 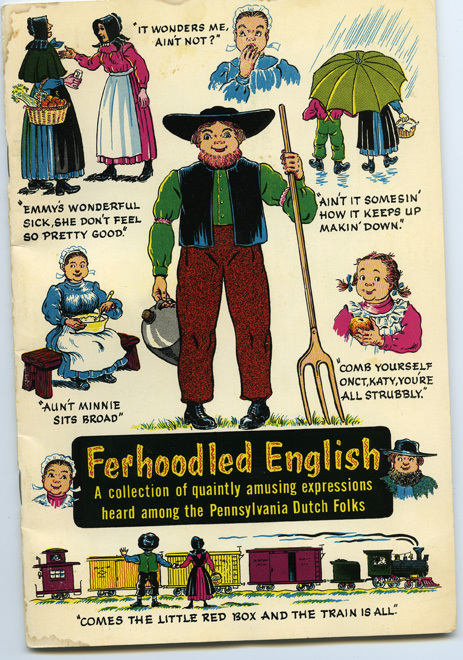 Wendy Converse shared this photo of a book she found while visiting her parents, full of Pennsylvania Dutch expressions like being strubbly or all. I find that hilarious because that’s what I’ve tried to do since starting my Only in York County blog in 2007… and still, we have not been successful in pinning down our spellings! But, hey, at least I know it’s not just me! Doing things “once” was one of the first topics I tackled when I started writing regularly about life in York County and the topic of Yorkisms, including the sometimes-used pronunciation of “wunst,” and Paul’s rationale is as good as any I’ve ever heard for why it’s used as it is! Thanks to everyone who has been sharing great Pennsylvania Dutch stories and memories with me. I love them!